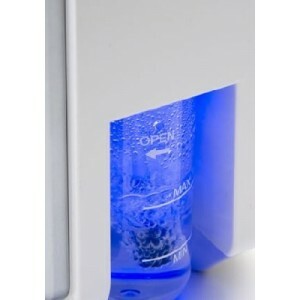 Oxygen bar: exclusive to Oxygenez - you .com, the 1 aromatic portable oxygen generator! From a technology developed by NASA (technology membrane), designed for therapeutic applications as for recreation and relaxation. Take advantage of the benefits of oxygen and biological essential oils aromatherapy. By purchasing this product you can earn up to 140 loyalty point that you can convert to a good of 28,00 €. Your loyalty points. O2 pure is a real generator of pure oxygen which means that it separates, filters, and condenses the molecules of oxygen content in ambient air and rebroadcasts it. You'll never run out of oxygen and you do not need expensive refills! It is compact, light and very quiet. Thus, the ideal place is on a bar or a table. 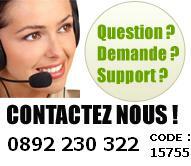 PURE O2 is certified it therefore complies with European standards in force. There are two models: O2 pure "standard version" and O2 pure "Self Service" that integrates an automatic coin for autonomous operation. Both models incorporate a counter to track day the day rate ofuse. Humidifiers allow use of the product in dry climates. Each station to offer oxygen flavored with organic essential oils to one person at a time. Between each use, it is easy to clean the helmet using a disinfectant which prevents buying little aesthetic nasal cannulas use unique… Only a few drops of essential oil organic enough to take advantage of the benefits of aromatherapy (which greatly reduces the cost of operating these devices). O2 pure (alias ion) are vitamins of the air. Ions are particles of oxygen more easily assimilatedby our body. Our aromatic oxygen O2 pure generator provides pure oxygen at safe levels, without danger to health so that the body can assimilate all these nutrients in an optimum manner in oxygen. Oxygen generators have a reservoir of aromatic water to moisten and, if you wish, add a few drops of organic essential oils to take advantage of the benefits of aromatherapy. The choice to use or not the humidifier depends on the personal tastes of customers. Seasons and needs, you can adapt. For example, put the essential oil of peppermint or lemon in the summer to refresh and tone, the essential oil of eucalyptus in the winter to decongest the respiratory tract. Our portable oxygen generator uses a flexible helmet which allows use in all positions (sitting, lying) the mouth and nose as well. Its modern design is pleasant and part weight (7 kg), it is easily transportable! Helmets are reusable and can be completely disinfected between each use. You will save thousands of euros by avoiding to buy disposable nasal cannulas after each use. O2 pure works with only 4-5 drops of certified organic essential oils BIO, without chemicals, safe for health, in accordance with the law in force. This system makes it profitable unlike other brands of generator which require large quantitiesessential oils. Note that oxygen can also be inhaled without aromas, odourless, with needs and desires.